Intimidator Spot LED 350 is one of the most powerful fixtures in the acclaimed Intimidator line. A 75-watt LED and superior optics make this fixture considerably brighter than most higher watt LED fixtures currently on the market. This feature- packed moving head includes a motorized focus for projecting crisp, rotating gobos from most distances. 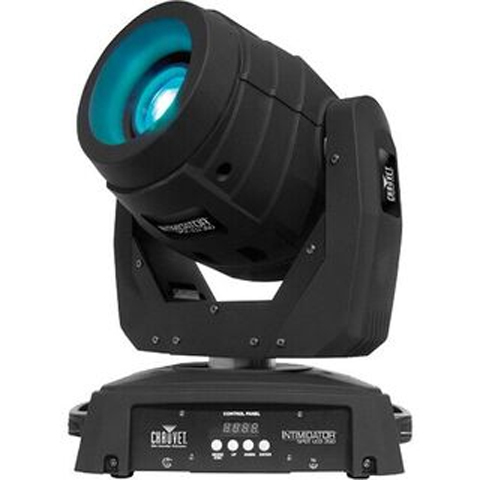 A rotating 3-facet prism splits the beam for maximum effects and coverage, while interchangeable gobos let you vary and customize the show.